Looking for more Paris street food? Don’t miss out on getting a copy of our Paris Night Guide where we share a long list of our favorite restaurants in the city! The city of lights is mainly known for its exquisite fine dining scene but actually, there are a lot of cheap food in Paris, too! Street food has made its way from all corners of the globe and onto the Parisian rues. 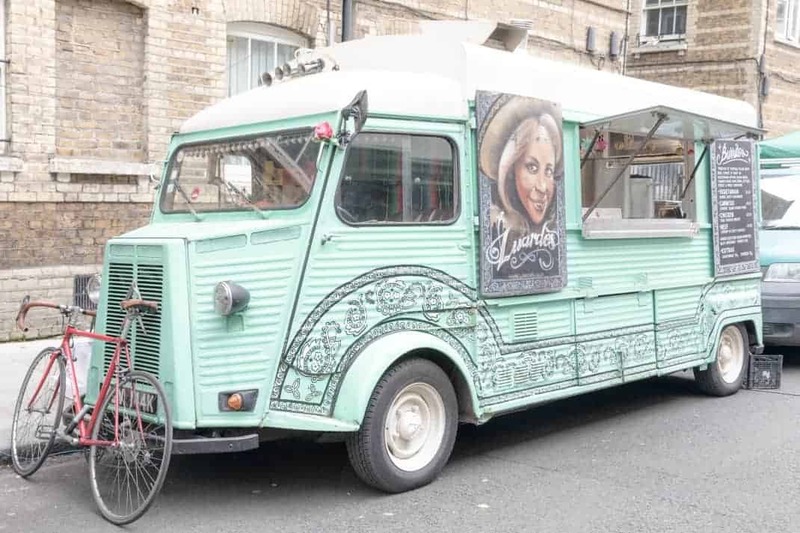 Delicious, quick, edgy; street food is the latest foodie trend to hit the France capital. INSIDR has scouted some of the best addresses serving the tastiest street food, so whether it’s an American burger, a Mexican taco or a Korean sandwich that you’re craving, we have you covered! Don’t miss our tips while you visit Paris. This is our guide to the Paris street food ! Quantity and quality. Frenchie to Go don’t skip on either. Taking care to source the best quality produce, including meat reared in Yorkshire and cheddar cheese sourced from London, this street-food style restaurant knows how to make a mean Rueben sandwich. A really great Paris street food option. Who said street-food had to be unhealthy? Nestled between two buildings, this quaint open air café / counter serves the healthiest, most aesthetically pleasing food-to-go in the city. Angèles’ menu is seasonal, gluten-free and made with fresh, bio ingredients, so your lunch will be a feast for the eyes as well as the body! A wonderful local Paris street food option. One Thursday every month in the 20th arrondissement, Belleville hosts a taste-bud tantalising food market where you can get a delicious bargain lunch. Once you have grabbed your street-food, take the short walk to Parc Belleville where you can enjoy one of the best views of the city. Good Food + good views = ideal lunch. A good Paris street food option. It may just be a hole in the wall, and very vibrantly coloured one at that… but at El Nopal you can get a taste of Mexico in the form of a generously sized burrito or taco. Eat your heart out Taco Bell, El Nopal’s food is all made with fresh ingredients and home-made tortillas so you can be sure this is one of the best taco’s going in the city! A great spicy Paris street food option. Located just next to El Nopal, Bangkok Street food restaurant delivers exactly what its name suggests. Inspired from the street food of Thailand, their dishes, served in cardboard containers, are a tasty ensemble of rice cooked to perfection, a delicious sauce of your choice (we recommend the Bangkok classic) and other tasty delights. The service is quick and efficient, and whilst their restaurant is a little cramped to eat-in, you can stay true to the street-food tradition and find a spot to perch by the canal Saint Martin to enjoy your Thai feast. A nice alternative Paris street food option. If you are looking for something better than a greasy kebab to satisfy your Grec food craving, head to Filakia where you will be served the kebab of all kebab’s; home made pitas, stuffed with meat reared in France, freshly prepared vegetables and served with lemony potatoes. You can eat in or take out, but either way, you’re in for some street-food goodness! A great Paris street food option. A veggie hotdog street-food bike may sound too millennial hipster to be real, but it exists, and it’s delicious. Beginning as a travelling hot dog stand, Le Tricyle now has its own permanent address and is definitely worth a visit. Serving a small range of delicious hot dogs, salad bowls and juices to take- away, you can enjoy a guilty free hotdog in your favourite spot in Paris. A great local Paris street food option. Get a taste of Californian cuisine with a quality home made burger and fries at their canteen or food truck for a mouth- wateringly good meal. We highly recommend trying their Barbecue burger! A good Paris street food option. If you fancy a change from your cheese and sauccisson baguette, SAam should be your next lunch time stop. Freshly baked bread, stuffed with pork belly, shiso sauce, salted plums, spicy cucumber, peanuts and truffled tofu… these Korean sandwhiches will revolutionise your sandwich eating experience! Eat in at their miniature kitchen-cantina, decked out in a distinctly sccandi style, or take out to eat in the Parisian streets. Don’t hesitate to hit the Paris street markets. You’ll find plenty of street food options, including roasted chicken, cold cuts, cheese in bite size format, etc. Paris street markets usually have good food stalls with international cuisine.